La direzione Concorrenza della Commissione Europea ha inviato una lettera a Google, nella quale si ipotizzano una serie di potenziali infrazioni antitrust nei mercati dei motori di ricerca e della pubblicità online. Il Commissario Almunia ha invitato il colosso californiano ad adottare una serie di misure correttive, che dovranno essere proposte dalla stessa BigG, altrimenti il procedimento in corso continuerà ad andare avanti e potrebbe sfociare in un provvedimento di addebiti (statement of objections). “First, in its general search results on the web, Google displays links to its own vertical search services. Vertical search services are specialised search engines which focus on specific topics, such as for example restaurants, news or products. Alongside its general search service, Google also operates several vertical search services of this kind in competition with other players. In its general search results, Google displays links to its own vertical search services differently than it does for links to competitors. We are concerned that this may result in preferential treatment compared to those of competing services, which may be hurt as a consequence. Our second concern relates to the way Google copies content from competing vertical search services and uses it in its own offerings. 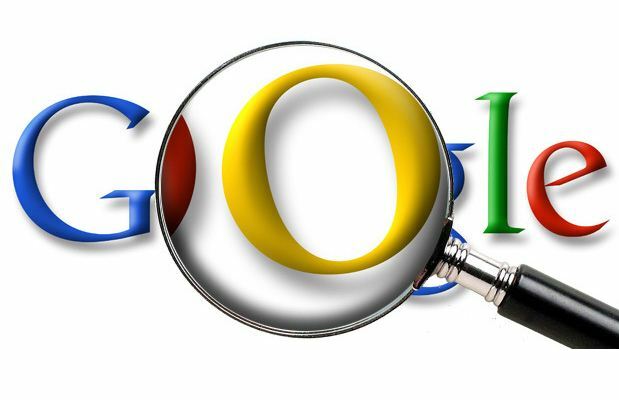 Google may be copying original material from the websites of its competitors such as user reviews and using that material on its own sites without their prior authorisation. In this way they are appropriating the benefits of the investments of competitors. We are worried that this could reduce competitors’ incentives to invest in the creation of original content for the benefit of internet users. This practice may impact for instance travel sites or sites providing restaurant guides. Our third concern relates to agreements between Google and partners on the websites of which Google delivers search advertisements. Search advertisements are advertisements that are displayed alongside search results when a user types a query in a website’s search box. The agreements result in de facto exclusivity requiring them to obtain all or most of their requirements of search advertisements from Google, thus shutting out competing providers of search advertising intermediation services. This potentially impacts advertising services purchased for example by online stores, online magazines or broadcasters. Our fourth concern relates to restrictions that Google puts to the portability of online search advertising campaigns from its platform AdWords to the platforms of competitors. AdWords is Google’s auction-based advertising platform on which advertisers can bid for the placement of search ads on search result pages provided by Google. We are concerned that Google imposes contractual restrictions on software developers which prevent them from offering tools that allow the seamless transfer of search advertising campaigns across AdWords and other platforms for search advertising“. Insomma, Almunia sembra fare sul serio e sembra non voler far rimpiangere Supermario, che schiaffeggiò Microsoft nel 2004 (e non è escluso che Google non faccia tesoro di questa esperienza). Adesso per Google si apre il dilemma: scendere a patti con la Commissione Europea (e perdere una serie di vantaggi competitivi), oppure iniziare la lotta dura e pura con Bruxelles. I rischi sono non solamente economici, ma anche di immagine e politici: Mountain View è impegnata su vari tavoli europei, alcuni anche encomiabili: diritti civili in Internet, libertà digitali, Internet governance. Finire sul banco degli imputati sarebbe quanto mai imbarazzante. L’ulteriore domanda ora è: capiterà la stessa sorte anche a FB? Il gigante del social network è normalmente sotto la lente per questioni di privacy, ma meno per problemi di concorrenza. Facebook è un gigante, ma la sua capacità di monetizzare e creare business esplosivi è attesa da tutti, ma deve ancora concretizzarsi.